IT departments are no longer just the ‘man behind the curtain,’ propping up the technology that powers the business. Instead, they play a significant role in delivering business value and advancing long-term business objectives – though their support responsibilities still remain. 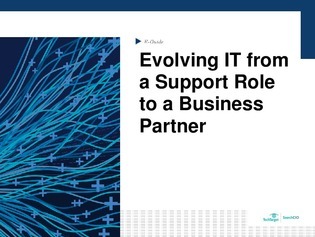 In this E-Guide, find out how CIOs and IT leaders are taking measures towards transitioning their IT teams into valuable members of the business. Plus, learn how modern ITIL frameworks can take this transition a step further.